Iran’s Volleyball Federation will stage a snow volleyball tournament for the first time at the Dizin resort in the Alborz mountain range near Tehran, the Iranian capital. 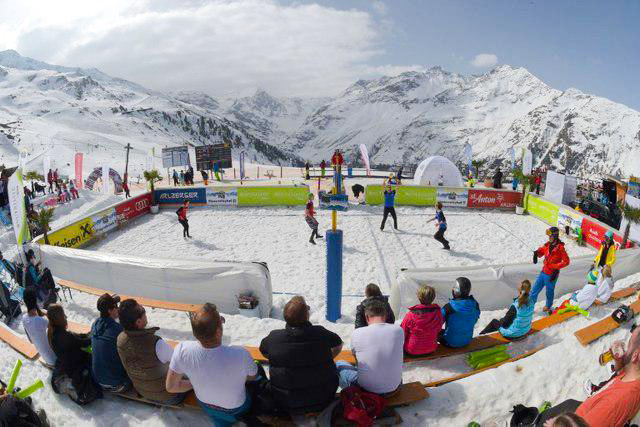 The federation will hold the country’s first snow volleyball competition in association with Austrian agency Chaka2, which is the agency responsible for creating and organizing the Snow Volleyball Tour, FIVB reported. The two-day event starts on Sunday, February 12, with 10 teams competing with each other in two groups. According to a Farsi report by ISNA, Germany, Italy, Austria, Czech Republic, Poland, Slovenia, Russia, and three Iranian teams – Bank Sarmayeh A and B, and Firefighters Team – will take part in this tournament. Before the beginning of the event, the Czech Republic team and Iran’s Bank Sarmayeh broke the world record by playing in the altitude of 2,600m. A game is also planned to be held at the end of the tournament at the 3,000m altitude. The tournament will be held in commemoration of firefighters and road workers, particularly the ones who recently lost their lives in Iran. Snow volleyball first came to prominence in the town of Wagrain, Austria, in 2008. Spring Has Arrived, but Winter Not Going to Leave!